It’s easy to make a sustainable choice for the environment with Jasol. 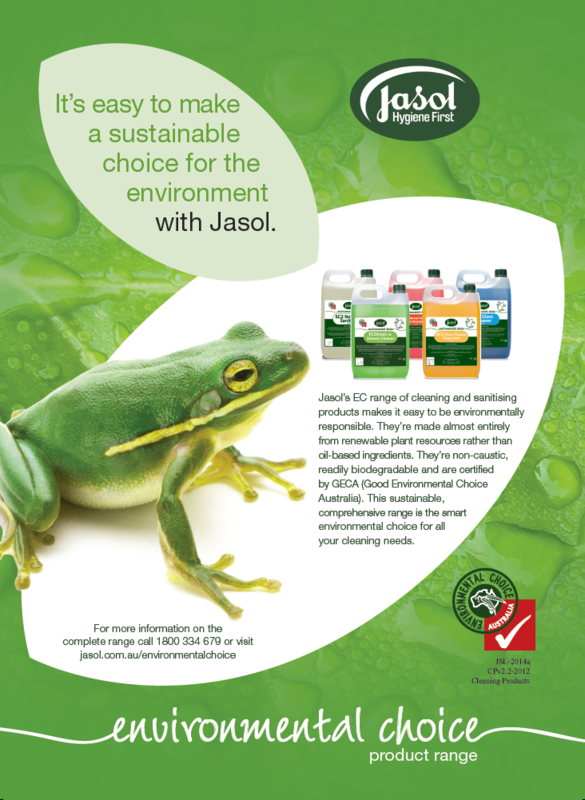 Jasol’s EC range of cleaning and sanitising products makes it easy to be environmentally responsible. They’re made almost entirely from renewable plant resources rather than oil-based ingredients. They’re non-caustic, readily biodegradable and are certified by GECA (Good Environmental Choice Australia). This sustainable, comprehensive range is the smart environmental choice for all your cleaning needs.